A Fairly brief follow up to all of the Kyle Cook/ John Waite coverage on the site over the past few weeks, Kyle and John have added a London Date to their tour itenerary (not currently posted on John’s Myspace page). They rockers will be raising the roof at London’s Borderline club on Sunday 8th May, so be sure to get your tickets for what is sure to be an intimate, but rocking evening. 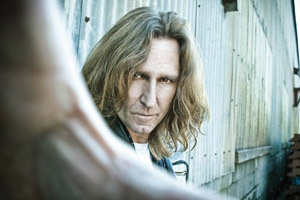 For those of you that havent been keeping up – Kyle Cook collaborated with John Waite to write his new album Rough and Tumble – the ex Babies/ Bad English rocker has had a massive career and this latest album shows great potential. Kyle and John are currently in Germany on the European leg of their tour and will be playing 3 UK dates starting on the Bank Holiday Monday. You Can buy tickets for the show from See Tickets.